Genre/Influences: IDM, minimal-electro, experimental, glitch. Content: Aliens Production invites us to join in for a visit to one of the most beautiful cities in Europe and to discover a new promising project. 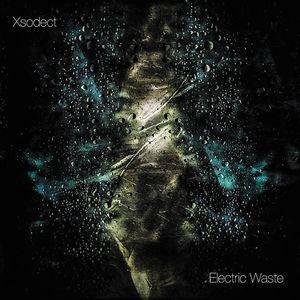 Welcome to St. Petersburg to discover the intelligent electro vibes composed by Xsodect. This EP features 5 interesting cuts based upon a real passion of sound creation. “Electric Waste” is not exactly the kind of release that has been accomplished in a hurry. It makes me think of a real patient process of collecting and reworking sounds to obtain a unique sound treatment. The songs have been crafted with intelligence mixing elements of IDM, industrial and experimental music plus a few elements of pure experimentalism and glitch. All together it creates a real compact and fascinating sonic voyage on, which you will be quite impressed by these meticulous treats. “Electric Waste” brings a real arsenal of sound to life. From deep sounding blasts to whipping snares, to delicate bleeps, to pure glitch, this work has a lot to offer. The writing features many little details, and the way all these sounds have been merged together results in brilliant composition. I can’t really throw any single song away although I have a preference for the impressive treatments of “Disease” and the somewhat mysterious sounding “Downshift”. Conclusion: Some bands deal with music, which gives you the impression to awake in another galaxy. “Electric Waste” is the kind of music planet I want to join as soon as possible. 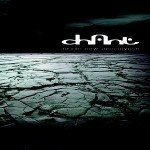 Best songs: “Disease”, “Downshift”, “Electric Waste”, “Terminal”.